HTC ONE M8 Blue and Red variant are on pre order in UK at price of 550 GBP from MobileFun (online retailer). 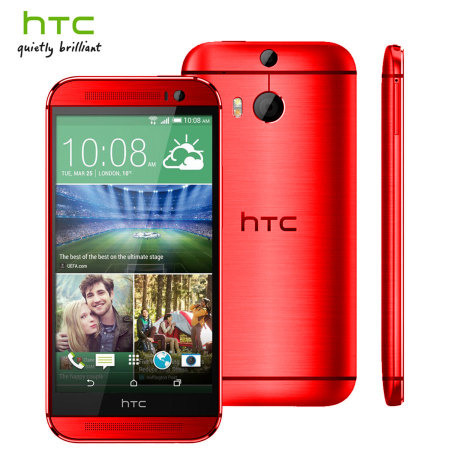 Htc One M-8 Red variant has been officially launched in Taiwan as well. The specifications of the M8 are similar to other variants and has brushed metal finish. The handset is already available in Gray, Silver and Gold color. We can also expect the One M8 Pink variant in upcoming days ( in London). Both the variants ( RED & BLUE ) comes with 16GB of ROM ( internal storage). According to the latest rumor the Red version will be available from Verizon in the USA. LG Volt L90 / LS740 are also available for purchase from Virgin and Boost Mobile.